Chances are that your school-age child spends nearly as much time interacting with others via social media as they do in class, at home, or in your community. Social media makes it easy for kids to keep in touch with family and friends, especially those who live across the country, or on another continent. 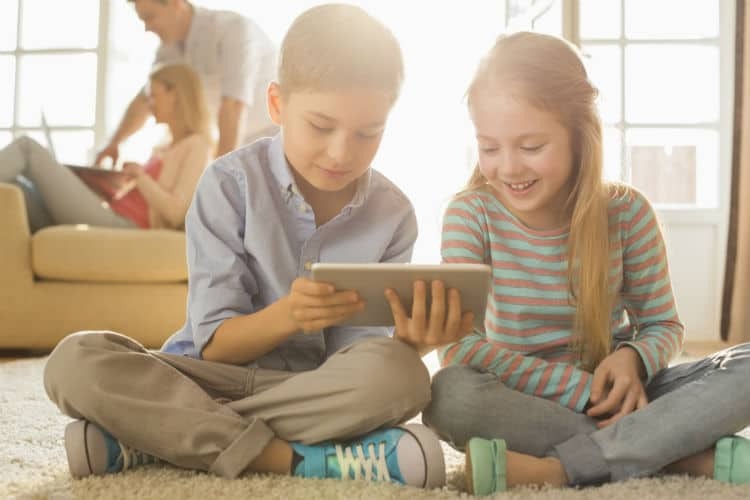 We know that, as parents, keeping your child safe is your number one priority, and part of growing up with internet access is learning how to be safe and responsible online. With that in mind, we have some suggestions for topics to discuss with your kids about using social media. While social media makes it easy to talk (or type) to nearly anyone who also has an internet connection, as in “real life,” kids should be cautioned to interact on social media only with people whom they actually know. We teach our kids to be aware of “strangers” when they are out in public and to not be as trusting with them as they are with their friends or family. The same goes of people on the internet. Even though our kids will often be accessing the internet from the safety of home, that does not mean that a person on an internet forum is to be trusted. Explain to your children that the internet makes it easy to hide one’s identity and to pretend to be someone else, and that not everyone will have their bests interest in mind. Tell your children to let you know immediately if they feel uncomfortable with or upset by an online interaction. As much as your kids want their independence (they don’t want you “snooping”), this is not okay when it comes to their devices. You should have unrestricted access to their phones, tablets, and computers and to their electronic footprints. Ask questions and let them show you the sites they visit. Make sure that you are aware of their online activity, and explain that you want to make sure that they are being responsible, mature, and staying safe. Make sure that your child’s electronic devices (and social media accounts) have privacy settings enabled to keep others from getting unauthorized access to that data. Check this often, especially when device operating systems and programs update. If you use social media yourself, check to see what information about your kids a social media network allows you to see. Similarly, while we live in an age of oversharing and “check-ins,” encourage your children to be mindful of what identifying information they post about themselves; phone numbers, addresses, and constant location updates should be avoided. Tell them to be careful about the photos that they post. The same goes for what they post about their friends. They should ask permission before sharing anything about their friends. Remind them that, just as you want to keep them safe, their parents’ friends feel similarly and may have different rules about social media usage. Most of us who grew up before the internet existed in its current form have given thanks that we grew up before social media, as all of our mistakes were not broadcast to all of our friends and family members. Explain to your children that even while they might take all of the proper precautions and be diligent about checking their privacy settings, nothing on the internet is truly private. It’s impossible to keep anyone who has access to their social media posts from saving and sharing them with others. Angry rants and shared secrets can go viral and travel the globe in the time it takes someone to make a few clicks. Tell your kids that, though it might be hard to imagine, what they think of as an inconsequential post now might cause a headache in a decade. You have probably talked to your kids about bullying and cyberbullying, but impress upon them that they should never take advantage of the supposed anonymity of the internet to bully or shame someone else, and, of course, that they should tell you if they are being bullied. The suggestion that, “If you would not say something to someone’s face, do not say it at all,” is tempting to ignore when one is angry and at a keyboard, but tell your kids that they will be discovered eventually and held responsible for what they post online, even if those posts are not under their real names. Tulsa parents, if your child is behind with their reading skills or wants to get ahead with their reading, Read Smart would love to work with them. Contact us for your child’s free evaluation!